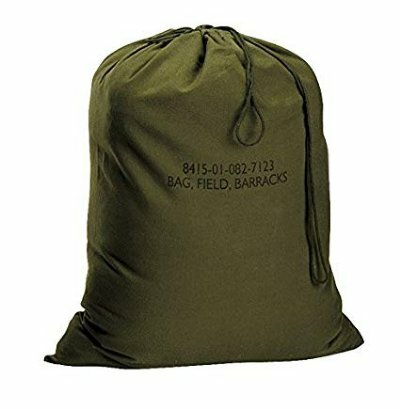 Military issue Rubberized Waterproof Laundry Bag. Outer shell is made of nylon material and interior has a rubberized synthetic wall. The Military Laundry bag closes by tie strings and measures Aprox 28"-30" long and 12"-14" diameter. Text and color may vary sightly from image shown. Overall good condition, may vary slightly from bag to bag.